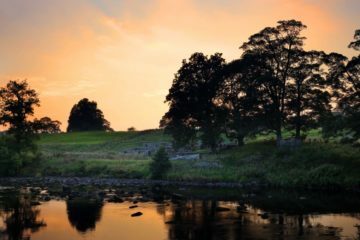 Looking across the River North Tyne at the Roman Fort of Chesters on Hadrian's Wall in Northumberland on an early autumn evening. In the centre are the remains of the Roman bathhouse. 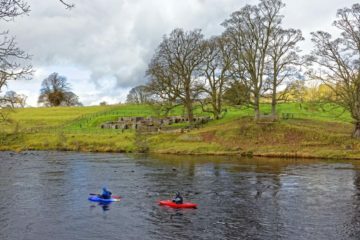 The Bath House at Chesters Roman Fort seen across the River North Tyne near Chollerford in Northumberland. Not a lot of people see the Bath House this way. 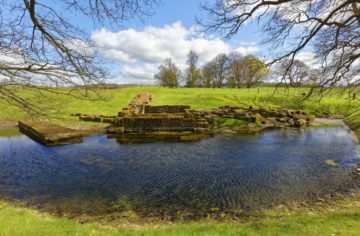 Looking east along the remains of the bridge at Chesters Roman Fort that took Hadrian's Wall across the River North Tyne in Northumberland on a beautiful early spring day. 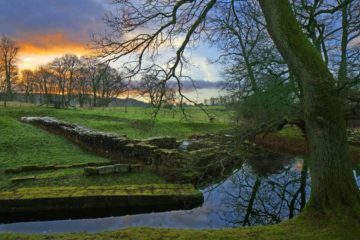 The remains of the bridge at Chesters Roman Fort that took Hadrian's Wall across the River North Tyne in Northumberland. 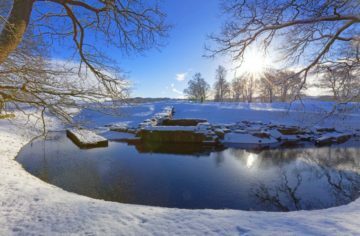 Looking west along the remains of the Roman bridge at Chesters Roman Fort and across the River North Tyne to the Bathhouse at Chesters Fort on a snowy Northumberland morning. 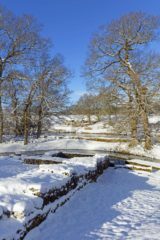 The remains of the bridge at Chesters Roman Fort that took Hadrian's Wall across the River North Tyne in Northumberland on a bitterly cold winter morning. 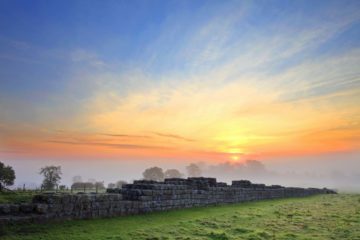 Looking east along the remains of the bridge at Chesters Roman Fort that took Hadrian's Wall across the River North Tyne in Northumberland on a bitterly cold winter morning. 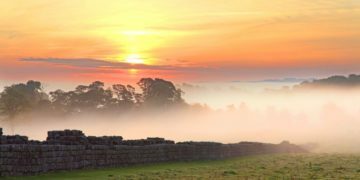 A beautiful autumn morning at Black Carts on Hadrian's Wall in Northumberland with low lying fog over the distant River North Tyne creating a spectacular backdrop. 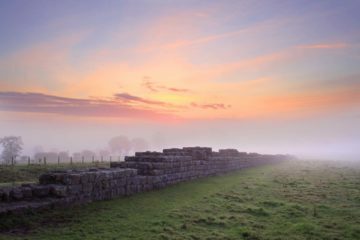 Black Carts on Hadrian's Wall in Northumberland on an autumn morning. 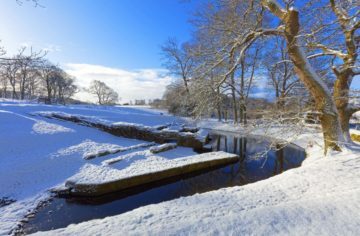 To the east of Black Carts is the River North Tyne which is frequently shrouded in fog giving an interesting backdrop to pictures. 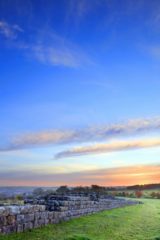 Black Carts on Hadrian's Wall in Northumberland on a clear autumn morning. 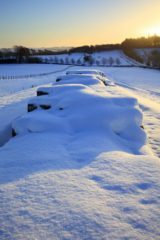 Early on a winter's morning at Black Carts on Hadrian's Wall in Northumberland after a night of snow. Sparkling pristine snow always has a magical quality.